As you probably noticed, in the last few months I did not post new recipes on the blog, and now I would like to tell you what happened. 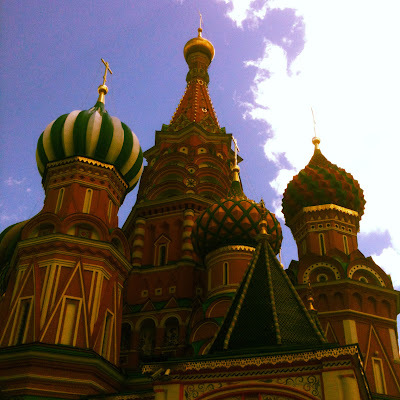 More or less one year ago I moved to Moscow and I restarted my life from scratch. A new house, many new friends, a new language, and, especially, a new kitchen! I was very excited for this new adventure, and I began to make plans and projects for the future. But I was also confused and very busy with so many new things! So I needed some time to get organised. 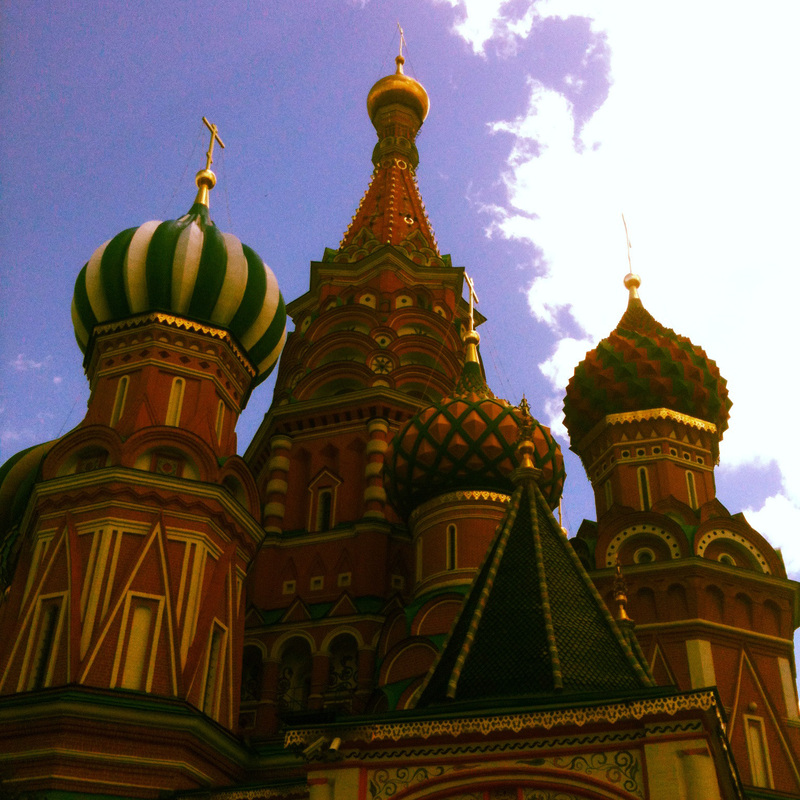 Moscow is an exceptional city! Millions of people, tons of things to do and thousands of challenges! Always on a rush Muscovites often can spend only several minutes in the kitchen to get their meals ready, but nonetheless they love good food, especially Italian food. So an idea popped-up in my mind: writing about recipes that you can cook in “five minutes”. 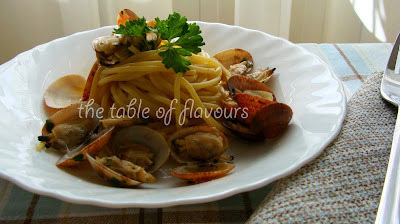 And Italian cuisine, with its simplicity, is just perfect when you want to cook an express meal. Like this I started my new project. It is called Retsepty-Pyatiminutki and it presents quick, light, tasty, Italian recipes. 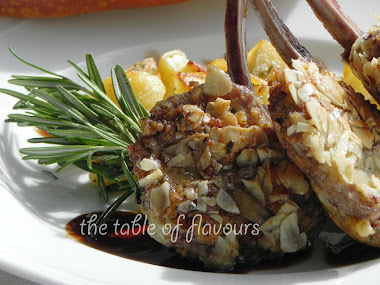 All recipes are step by step and supported by pictures. Soon there will be also a video blog and a page about life style. And, what more I can say? I am glad to invite you to visit me at my new website and I would very much appreciate your suggestions. So this is an Arrivederci! This is a triple dessert. 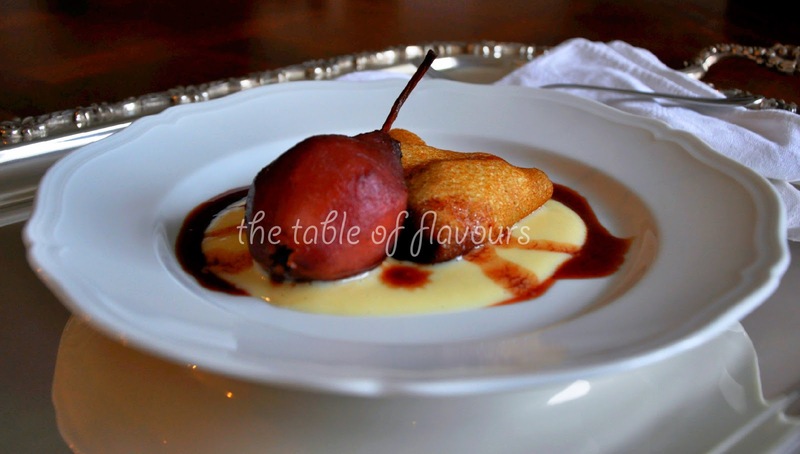 You can prepare it as in my presentation or you can use just one of the three and even so have a fabulous dessert: pears in wine, apples pancakes or custard. Put all the ingredients, apart from the pears, in a pot (choose a pot of medium size, in order for the pears to be covered by the liquid when you will add them), cover with a lid and bring to the boil. When the liquid starts to boil, add the pears and cook slowly for 15-20 minutes, until the pears are tender. Remove from the stove. Let cool and then put in the fridge for 12 hours. Take the pears out of the liquid. Put the pot with the liquid back on the stove and boil until it will become like syrup (this might take around 15 minutes, but be careful because you risk to burn the sugar if you boil it too long). Then filter the liquid and discard the spices. If you like to serve the pears on their own, prepare four individual bowls with a pear each and 2-3 spoons of wine syrup on the top. Put the apples, the sugar, the butter, the cinnamon and the water in a small pot. Cook covered on medium heat until the apples are tender. Then take the lid and cook uncovered for a few minutes to reduce the liquid. Take the pot from the stove and let cool. Discard the cinnamon stick. Put 2-3 spoons of apples in the middle of each pancake and fold them in order to form four small packets. Put the small packets on a backing tray covered with backing paper. Heat in the oven at 180⁰C for 5 minutes. If you like to serve the apples pancakes on their own, prepare for individual plates with a pancake each. Then sprinkle with icing sugar. Put the vanilla stick and the milk in a saucepan. Heat the milk on the stove until it will start to boil, then switch off and let it cool for 10 minutes, and then discard the vanilla stick. In a large microwave-proof bowl whisk the egg yolks with the sugar using a mixer. Whisk them for a few minutes until you will obtain a light yellow soft cream. Now add the flour and whisk again. Then, whisking all the time, pour the milk into the egg cream. Now put the bowl in the microwave at maximum power for 1 minute. Then take it out, whisk and put it back for another minute. Stir it again and check if it is ready; the custard should now be dense. If the cream is still too loose put it back in the microwave for a minute more. Then let it cool. If you like to serve the custard on its own. Prepare 4 individual bowls and pour in the custard. Decorate with two leaves of mint or a candy cherry. Prepare four plates. Spread in the middle of each plate 2 spoons of custard, add one apples pancake and one pear in wine, and then decorate with a little wine syrup.